One of the fastest growing colleges in Ontario is Conestoga, offers a full range of career-focused education, training and applied research programs to develop the knowledge in economy and promote economic prosperity for the students. 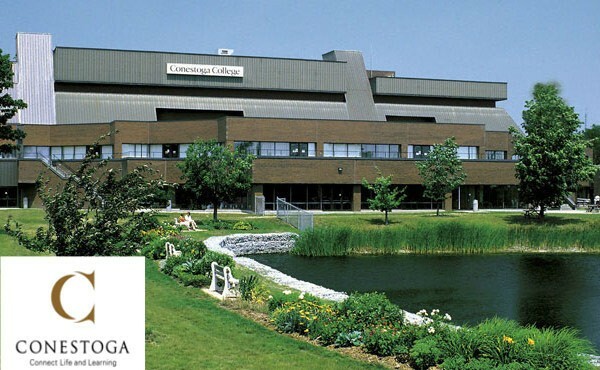 Conestoga was established in 1967, and serves approximately 12,500 full-time students through campuses and training centers in Kitchener, Waterloo, Cambridge, Guelph, Stratford, Ingersoll and Brantford. Conestoga introduces more than 200 career-focused programs ,and to establish the pathways to ensure that individuals across our community can access the education they need for their chosen careers. Our focus on technology-enhanced learning through online and mobile technologies to ensure their students are prepared to excel in our increasingly digital world. Conestoga’s support their students for their successful career throughout their learning journey. Conestoga’s applied research activities support the students to increase their knowledge and helps to success in businesses area , innovate and improve their productivity. For funding from NSERC, SSHRC and CIHR, Conestoga is eligible and approved. It is the first college to host a CIHR Industrial Research Chair in Canada and has a track record of steady improvement and success.